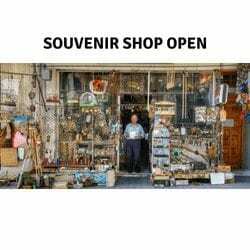 When we talk about the Greek cultures and traditions of Rhodes what do they cover? I am sure many of us think about the food and the clothing etc. Are you the same? But this is not all it covers, far from it in fact! We can discuss different areas such as literature, the arts, customs and even manners! 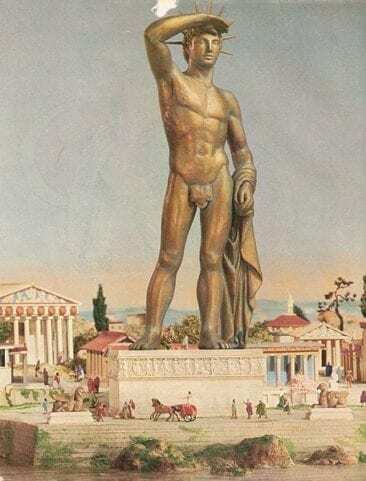 The Colossus of Rhodes (one of the Seven Wonders Of The Ancient World) stands tall in the history of Rhodes and is also considered part of Greek culture! (So much so, that some people who visit are still under the impression it is standing, whereas it was actually destroyed in an earthquake back in 226 BC). Also, when mentioning literature, Julius Caesar was known to have visited Rhodes in order to study Philosophy among other Romans! There is so much in the way of Greek cultures and traditions it can be difficult to find a starting point. It runs deep into the history of Rhodes! We could also go on to discuss sculpture and paintings within this culture and traditions section. Names such as Philiskos, Chares and Aristonidas may stand out when talking about sculpture. Chares in fact is documented as being the name behind the building of The Colossus! back in 280 BC. True Rhodian Greeks are known for being kind and friendly. They are also well-known to be very good when it comes to business and you can see this by the way the island has developed. Look at some of the hotels on the island as an example and you will see the empires some of them have built. Despite this though, the Rhodians are known to be very warm and good people. When you visit the island, you will find yourself greeted by the highest level of hospitality. Although millions of people from many countries visit the island every summer, this has not changed the Rhodian way of life. Deep down the Rhodians like to live a simple life. Family is important to them and this is something that will never change! You will be surprised to learn that although these millions of tourists frequent the island on an annual basis, a lot of true Rhodians prefer to be out the of way. They go about their own business on their lands, be it farming, fishing and even keeping bees. Some are still occupied by making their own carpets, pottery etc, and some of these ceramics can be found in the ceramic shops around the island. There is more information on this on the Arts and Literature page! I would say the architecture in Rhodes is one of the key reasons why tourists flood the island every year. Because of the history of the island and its past occupations you will find so many structures which can be related to the occupancy in which they were built. For example, you can see small houses which were built by the Turkish years ago and a lot of these can be found on the west coast of the island just south of Rhodes Town! On the other side of the coin, you will find the grand structure of the Market Of Mandraki constructed by the Italians during their occupation! Due to the many occupations and its history there are a range of differences in structures that can be found across the island! Of course, we cannot forget the huge Acropolis of Lindos and the Medieval Town when we talk about architecture 🙂 But more about them later! Come the winter time though, this is the time for peace and quiet. After a hard summer there is nothing the Rhodians like more than to relax with their families and slow the pace down. If you are looking for tranquility, then the island of Rhodes by winter is the place to be! Well, let’s get you started on your Culture and Tradition tour. If you have any comments or questions just contact me and let me know! I always like to hear from you all and I welcome your thoughts. Alternatively you can leave your comment below! I will get right back to you! Click Your Option Below And Learn More On Greek Cultures And Traditions. I always liked looking at old culture and history and wondered how they built such huge statues to such detail. I think it would be nice to see all the different structures that are built, just to see the different styles. That is how our world is built. It is indeed hard to believe Fred. How was it possible in those days to build such enormous and amazing structures with great detail? It was long before modern technology and computers were here to help. It is quite unbelievable how it was done. Also, a lot of these structures are still standing today despite war, earthquakes and other elements. Some of the more modern structures even fall to these. They definitely had a talent back in the ancient times. The history of Greece is so interesting, I have studied the history of Greece and Italy a lot in school and its fair to say it is very fascinating. 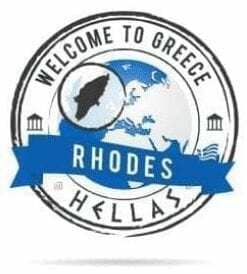 We are thinking about taking a trip here to Rhodes and doing some research at the moment to see what people have thought. How much time would you suggest to spend here, is a week enough to discover Rhodes? Well, it all depends on how much research you want to do while you are here. There are thousands of years of history here, and the culture and traditions are all here to soak up. You can see many things and have a good experience in a week for sure, but longer would be more beneficial. If you are looking to get to grips with history, then I would say 2 to 3 weeks would be more than enough to gather your data. Thanks and I hope this helps you out. If you need anything let me know! As always when I visit your site, very interesting information Chris. Thanks so much for sharing. I will be stalking your site…LOL. Rhodes is a beautiful place and if you venture away from the more popular sites and experience the villages, you will really get a feel for the people. The ocean here is a big plus yes, and many tourists do come for the sunshine and the blue water. If you venture into the middle of the island though, you are away from all this, but it is still well worth taking the tour. Rhodes was always wanted by many since the ancient times. 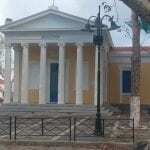 Italians left a precious legacy in Rhodes architecture. 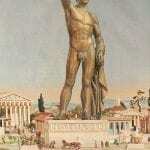 About the Colossus, did you know that there is a plan to rebuild it? 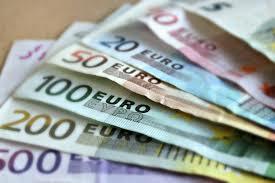 Of course, it will have a huge cost but I think it is a great idea. You can read and learn about Rhodians but the only way to really know their way of life, their traditions is to blend with them, and to live there in a little village and take part in all the evens. Each village teaches you something and each site you visit has a print of the ancient local culture. Very interesting to read about all Rhodians customs and traditions and this page made me curious to read more. Yes I am aware of something in the pipeline when it comes to a rebuild of The Colossus. I agree, it would be an amazing thing to have on the island and I think it would bring a lot of tourists here to see it. I do not know though, I am still a big believer in letting history be what it is. Do you not think it would tarnish the mystery of the original statue? I have mixed feelings on this to be honest. I would not want the original Colossus to be forgotten. I agree with you when it comes to the villages too. Each village has its own character and unfortunately a lot of them are missed by the holiday makers. Getting off the tourist path and meeting some of the locals is a great way to spend time. Thanks Cristina. Nice to hear from you. Great article, I just realized I need to travel more. Greece will be first on the list. I didn’t know about its’ beautiful tourist attractions. Not really advertised in mainstream media. Thanks for opening my eyes internationally. Hello Ellie and thanks for your visit. Indeed Greece is full of places to see and it has a huge following when it comes to tourism. Rhodes is one of the most famous islands in Greece and is frequented by hundreds of thousands of people every year. The history, the sites and the beautiful weather makes it a number one choice for a lot of people. I need to go back to Greece. When I visited years ago, I did not have time for Rhodes, and it is a place that has always been on my list to see. I hear of the incredible climate there, and your description of the history, culture and architecture is enticing! I definitely feel invited to make the trip! Hello Annie. Really nice to hear from you, thanks for getting in touch! Where is Greece did you visit previously? I know a lot of people choose to go to the mainland. Athens for sure is very popular for its Acropolis and Parthenon. Rhodes should never be overlooked though. With the exception of the wonderful climate, there is so much to get your teeth into here. The culture makes it all the more enjoyable too. I hope you manage to arrange another Greek Holiday soon Annie! I cannot wait to plan my trip to Greece! I have always wanted to go, but after reading your post, I am convinced that this is next on my list! 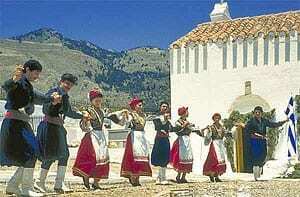 I am especially intrigued by the Rhodian way of life, and how hospitable they are. I will be sure that the island of Rhodes is on my list! SO glad I found this post in my search for best place to go in Greece! Hey there Amy and thanks for passing by and getting in touch. 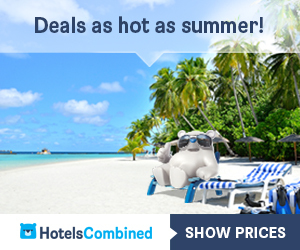 Let me know when you plan to come, and I will offer you some more information to get the best out of your stay! Thanks again Amy, great to hear from you! I love History and Science.So happy you can get this and I am coming to realize that I really need to make a trip to Greece! I have never been so far there and i would really like to go there with my boyfriend to see all that beautiful History written there. Do you have some free tickets here 😀 ? Hey there Stella and thanks for getting in touch. If you are a lover of History then Greece is a safe bet for sure. 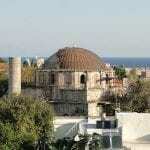 Rhodes is full of history and you will love it here. The whole of Greece is rich in history to be fair, and Athens and some of the other islands are worth a visit too. As for the free tickets, well .. nice try 🙂 Unfortunately nothing in life is free. 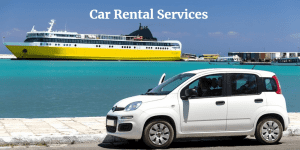 If you come to Rhodes though I have many friends in some of the places, so I am sure I can find you some better prices during your stay. I loved this site. There is so much interesting information here. In many ways you make me envious. I wish I had the courage to up stakes and move to a beautiful part of the world, especially Rhodes. i watched many ‘Place in the Sun’ programs. i was always tempted but I would make some excuse not to move. Well, I can still live vicariously through your website! There is so much here. Its going to take me ages to look at it. Hey Mike thanks so much and i am happy you like the work I am doing here. I have also seen the ‘Place In The Sun’ program that you mention here. I think it was presented by Carol Smiley in the UK ..am I right? It is sometime since I saw it so I might be mistaken! It is a big step to move to another country, but sometimes it is an effort worth making. Rhodes has certainly been a blessing for me and I do not have any regrets. Let’s hope you make it here soon and see what it has to offer with your own eyes. Until then I am always adding new information here, so feel free to call back anytime. As an international teacher, I also find traveling to be freeing. I am only really starting to want to travel to places with history and wonders of the world. My favorite trip about two years ago was to Jordan to see Petra. Maybe I should have realized then? But Rhodes, Greece is now on the bucket list! Hi there and thanks for getting in touch! Once the travel gets into your blood it is hard to stop eh 🙂 I am also very fortunate to have traveled to many countries over the years, a lot of it with my career. But it allowed me to see the world and what it has to offer. I have never been to Jordan though, but who knows? Maybe some time in the future. Thank you Chris for this interesting and helpful article. I am a big fan of Greece and have been many times in Crete. I never had the opportunity to travel to other islands but that is definitely something I want to do soon. The Island of Rhodes is on top of the list. Especially the architecture the way you described it, seems to make a visit really worthwhile. Well, Crete is not a far journey from Rhodes. I have many friends who live in Crete and they make a trip here sometimes to have a break from work. Hey there, reading your post makes me reminsice about my trip to Athens last year, and already I want to go back. On place I haven’t been and is on my list is Rhodes, so it was interesting for me to read about the culture and events as well as the historical aspect. A very informative post, I shall me making a swift return to Greece. Hey Chris thanks for getting in touch and it is great to know you have visited Greece. I also also had the pleasure of seeing Athens and I share your thoughts, it really is an amazing and mesmerizing place, I loved it. Rhodes is also a definite must see, and if you need more information on this amazing island before you plan a visit just give me a shout. I will happily give you a few useful tips and more details on what to expect. Thanks again Chris and look forward to seeing you here! I love the way they live. We can all learn from their culture. It just goes to show you that smart business people can be warm and friendly to. The hRodian way of life is definitely for me. I already try to live this kind of lifestyle. Hey there jack and thanks for passing by once again! 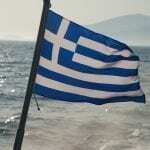 It is really great the way the Greek people live life yes, I personally love it. The friendships i have developed here I like friendships I have never experienced before. Warm, loyal, honest, great fun, relaxed, helpful, you name it – it comes with the friends of the Greek communities. Thanks Jack, and hope you are doing well! I recently visited Pompeii in Italy, and it was fascinating to learn about the ancient traditions of the Romans. Greece definitely seems like a great place to visit as well will put it my list of places to visit next time I am in Europe. You mentioned that winter is a good time to visit? What are the temperatures like on the island at this time of the year? Hi there and thanks for your questions. Yes the winter time is indeed a fine time to visit the island. Although the temperatures are lower and the tourist summer season has been and gone, there is still plenty to see. Also with this you get the chance to see it as it really is, with peace and quiet, and you can really soak up the historic atmosphere! The temperatures vary through the winter. From the start of November until the end of December you can still have some really nice days and the temperatures can be between 15 to 20 degrees Celsius. Into January, February and March it is a little on the colder side with some rain. This time of year you can expect temperatures ranging from 6 or 7 degrees to 12 degrees Celsius. Come April, it starts to get warmer again in time for the summer season to start! Reading your post I am coming to realize that I really need to make a trip back to Greece! I cannot believe that I flew halfway around the world and didn’t see one of the seven wonders of the world. I feel robbed. Thank you for your informative post. Looks like I’ll have to go back now that I know so much more. When you say you need to make a trip back here, I was curious as to where in Greece you have visited in the past? If you have not been to Rhodes, then it really is an amazing place, you would love it for sure. Let me know if you need more details for any upcoming plans and I will gladly help you out!